52348 Scotch Pine Court Shelby Twp, MI. | MLS# 219029940 | The premier resource for all real estate information and services in Metro Detroit. 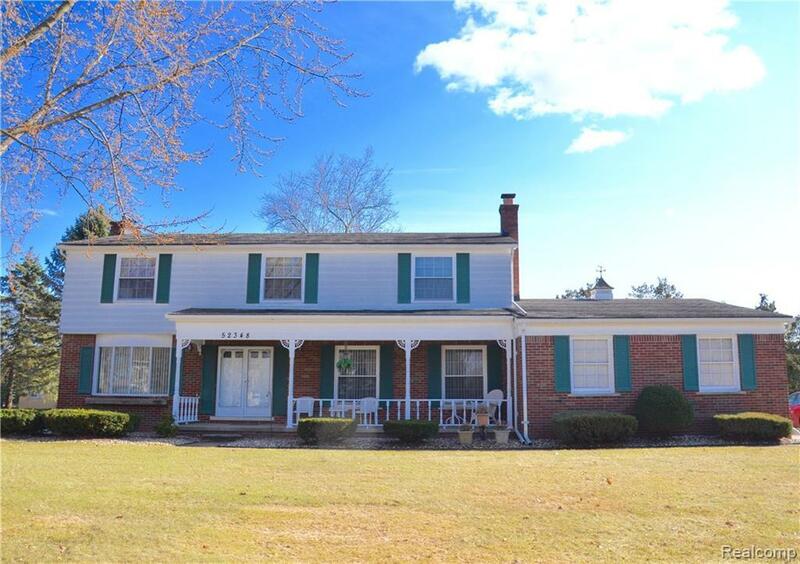 SPRAWLING colonial on a cul-de-sac sitting on .81 acre. With 5 bedrooms, possible 6th bedroom that was turned into a walk-in closet. Finished basement with a fireplace and bathroom. 1st floor laundry. Huge dining area. Spacious family room with fireplace. New carrier furnace and central air (Nov.2017), sprinkler system on well for lower water bill. Septic field done in 2000. Beautiful lake with beach with-in walking distance for residents only. Minutes from Stoney Creek.